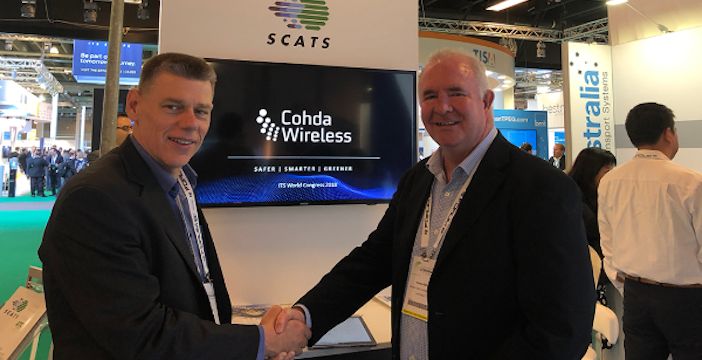 Australian companies Cohda Wireless and ATC I BRAUMS have entered an agreement to help accelerate the integration of connected vehicle technologies into existing traffic infrastructure and management systems across the globe. At the recent ITS World Congress in Copenhagen, Denmark, a Memorandum of Understanding (MoU) was signed by Dr Paul Gray, CEO of connected vehicle technology developer Cohda Wireless, and Andrew Bull, managing director of ITS equipment manufacturer Aldridge Traffic Controllers (ATC) and urban mobility systems supplier Braums. Together, ATC and Braums (ATC I BRAUMS) are partners in the delivery of the traffic management systems and infrastructure. Following the signing of the MoU, the parties have started systems integration that will enable the SCATS (Sydney Coordinated Adaptive Traffic System) controllers from ATC to incorporate Cohda’s V2X (vehicle-to-everything) communication platform. Originally developed by the Roads and Maritime Services of New South Wales (RMS-NSW) and now deployed across the majority of intersections in Australia, SCATS is a fully adaptive urban traffic control system that optimizes traffic flow and is currently operational in 27 countries and 180 cities around the world. SCATS is an MS Windows-based software system that generally has a designated central manager (CM) and works in a tiered fashion via one or more regional controllers (RC). The CM can manage up to 64 RCs, which can each perform coordination through traffic signal controllers at a maximum of 250 intersections. “A V2X-enhanced SCATS system has many benefits and the MoU is a positive step forward in the journey toward a connected urban transport system,” explained Gray. “Connecting our roadside units to SCATS controllers will provide a world of information that can be leveraged to enhance traffic flow and safety. 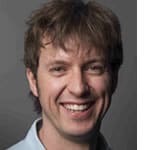 “It will provide very detailed information on the speed and direction of connected vehicles, as well as detect the presence of pedestrians and cyclists through their smartphones, which can be relayed to vehicles and a central control room. Under the MoU, Cohda and ATC I BRAUMS say they will identify and explore business opportunities in an atmosphere of close cooperation and collaboration, with Bull noting that exploring V2X opportunities in China is high on the agenda of all parties. ATC I BRAUMS has had recent success in China through an initiative that involved the installation of more than 1,500 ATC SCATS Traffic Signal Controllers, many of which have been installed in Shanghai and Guangzhou. Cohda established an office in Shanghai in February this year to capitalize on China’s rapidly developing markets for smart cities and autonomous cars.